Prince of Persia: The Sands of Time (film) In the 6th century, a Persian street urchin named Dastan, after defending a boy caught stealing an apple, is spared, and then adopted by the noble King Sharaman. He is raised alongside Sharaman’s sons Tus and Garsiv, and grows into a strong young warrior. Later, Dastan, driven to prove his worth, leads an attack on Alamut, a peaceful holy city which is reported by spies to be supplying weapons to Persia’s enemies. When the king is assassinated and Dastan is accused of the crime, he must join forces with a feisty and exotic princess, Tamina, to prevent a villainous nobleman from possessing an ancient dagger capable of releasing the Sands of Time, a gift from the gods that can reverse time and allow its possessor to rule the world. Directed by Mike Newell. 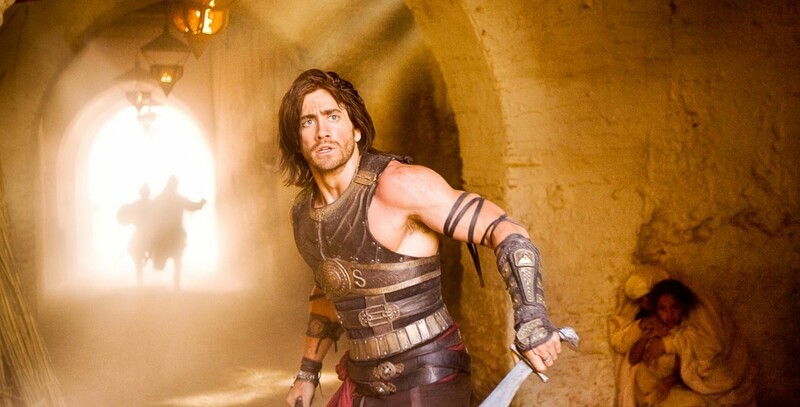 Stars Jake Gyllenhaal (Prince Dastan), Gemma Arterton (Tamina), Ben Kingsley (Nizam), Alfred Molina (Sheikh Amar), Steve Toussaint (Seso), Toby Kebbell (Garsiv), Richard Coyle (Tus), Ronald Pickup (King Sharaman). 116 min. An adaptation of Ubisoft’s hit fantasy game, created by Jordan Mechner. A Jerry Bruckheimer production. Released on May 28, 2010, after a May 9 world premiere in London. Filmed in CinemaScope on location in Morocco and on nine sound stages at Pinewood Studios in Britain.